In a recent decision from the U.S. Tax Court, the Internal Revenue Service (“IRS”) was ordered to produce Information Document Requests to a tax whistleblower, despite an objection from the IRS that the documents sought were not relevant in the instant whistleblower proceeding. As part of its opinion, the Tax Court discussed the breadth of what is and what is not relevant in a whistleblower proceeding, as well as raising certain issues that the Tax court will have to address in the future, including how to determine whether subsequent increases in a target’s tax liability that are indirectly related to the whistleblower’s information constitute proceeds for purposes of 26 U.S.C. § 7623. In December 2006, the IRS created the IRS Whistleblower Office as a way for individuals to report tax law violations and “possibly claim a reward based on the amount of additional tax, penalties and interest that is owed” by the alleged wrongdoer. IRS whistleblower awards vary from 15% to 30% of the amount of the proceeds collected “in cases in which the IRS determines that information submitted by the informant substantially contributed to the collection of tax.” In order to be eligible for an award, the amount identified by the whistleblower (including taxes, penalties, and interest) must exceed $2 million. Under the IRS whistleblower program, the IRS has the final say “about whether an award will be paid and the amount of the award for claims it processes.” Any award is “paid in proportion to the value of the information furnished voluntarily with respect to proceeds collected.” Thus, it is important for whistleblowers to understand how much the IRS collected in proceeds, and how the whistleblower’s information is linked to the collected proceeds. However, much of this information is in the hands of the IRS, who is generally reticent to give whistleblowers access to such information. The recent decision in Whistleblower 11099-13W, TC involved a whistleblower that petitioned the Tax Court “for review of the IRS’ decision not to make an award to him for information that purportedly led to the collection of unpaid taxes and other amounts.” In conjunction with the petition for review, the whistleblower “moved to compel the production of documents” from the IRS. The IRS objected to the requests, arguing that the documents the whistleblower sought were irrelevant. The whistleblower believed that before the end of year 2, based on the information he had provided to the IRS, the target corporation and its affiliates ceased using their tax evasion scheme, which the whistleblower says increased “its year 2 tax bill and would increase its tax bills for subsequent years.” The whistleblower also alleged that after year 5 the target ceased its fraud altogether, which increased its tax bill by at least $3 billion for subsequent years. [T]o produce documents relating to the three inventory-related adjustments for years 1 and 2 that petitioner had identified; documents that might indicate that there were more TES-related adjustments of which petitioner was unaware; documents mentioned in other documents that appear to relate to adjustments or to the whistleblower investigation; and documents that petitioner believed would help him compute the amount of additional tax target paid as a result of stopping its use of the TES; as well as all nonproduced documents created by the IRS and related to petitioner’s whistleblower claim, along with all nonproduced documents received by the IRS from target as a result of his claim. Following the production of documents, the whistleblower contacted the IRS to notify it of deficiencies the whistleblower perceived in its compliance with the Tax Court’s order. The IRS did not produce any other documents to the whistleblower. As a result, the whistleblower filed a second motion to compel, which sought the production of “31 information document requests (IDRs) and responses (without distinction, requested IDRs) that petitioner believes respondent should have produced pursuant to the Sept. 16 order.” Again, the IRS objected to the motion on the grounds of relevance. The IRS did deny “that he proceeded on the basis of petitioner’s information about the TES to make those adjustments (or to make any other adjustments).” Or in other words, the IRS Argued that it did not use the whistleblower’s information to make any adjustments to the targets taxes, and therefore the documents sought are immaterial. We need not at this point in the case address the merits of respondent’s lack-of-authority argument, which respondent has not fully developed. Petitioner’s case, grounded on the legal theory that the IRS collected proceeds from target on the basis of petitioner’s information about the TES, is well pleaded. It is not obviously contradicted by section 7623(b)(1). The validity of section 301.7623-1, Proced. & Admin. Regs., has not been tested, nor does respondent argue that it applies. The proper interpretation of section 7623(b)(1) is something that the Court may decide in due course during these proceedings upon argument or briefing by the parties. If respondent is interested in a pretrial ruling from the Court on matters of law, then his proper course of action under our Rules would be to file a motion for summary judgment under Rule 121. Undoubtedly, if we understand it correctly, petitioner’s interpretation of the term “proceeds based on” is broad; i.e., that the Secretary proceeds on a whistleblower’s information if there is merely a causal relationship between the whistleblower’s information and the Secretary’s collection of additional tax (whether that additional tax is collected on the basis of adjustments to a taxpayer’s reported tax or on changes in the taxpayer’s behavior in reporting its tax). Section 7623(b)(1) may not support that broad interpretation. But, in a discovery dispute, once the discovering party makes some minimal showing of the relevance of the information or response sought to the subject matter involved in the pending case, the party opposing the production of information has the burden of establishing that the documents sought by the other party are not relevant or otherwise not discoverable. While the Tax Court has ordered the IRS to produce the documents the whistleblower has sought, it has left open the interpretation of Section 7623(b)(1) for further proceedings. Accordingly, this case is one that is worth watching as it continues to develop, and it will be interesting to see how the IRS brings its lack-of-authorty argument before the Tax court. 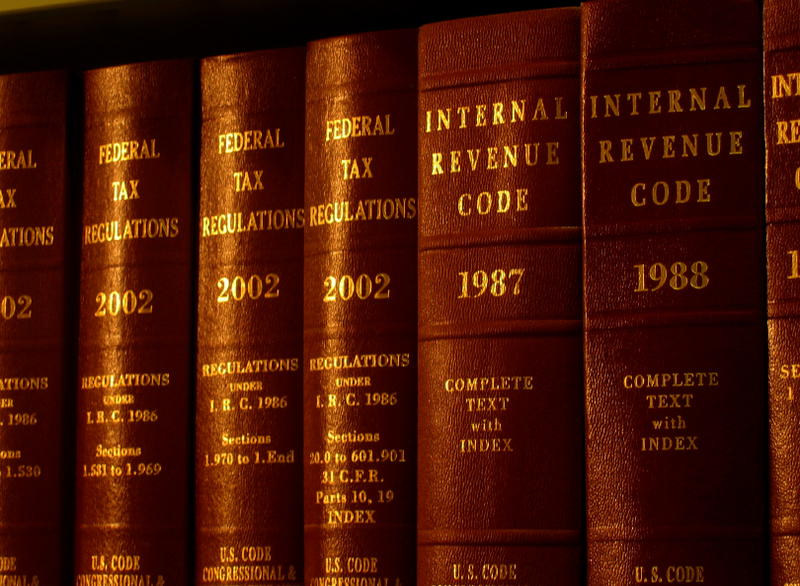 As it relates to discovery, the Tax Court’s opinion also should prove helpful for litigants who are trying to get information from the IRS. An earlier order in the case clarified that while the Tax Court is bound to the administrative record in whistleblower disputes, it is not in the IRS’s sole discretion to determine what in fact constitutes the administrative record. Determining what in fact is in the administrative record is one that agencies, litigants and courts confront routinely in non-tax matters, but it is not often an issue in tax cases which generally are reviewed de novo, with the record below not tying the hands of the court. If you or someone you know has information about tax law violations, please contact our whistleblower attorneyteam for a consultation. Under the U.S. Tax Court’s newly minted decision, you or someone you know may be entitled to compensation for information that leads to the imposition of criminal fines and civil forfeitures. You can contact our whistleblower attorney team via email at kporter@chrisjen.com, by phone at (801) 323-5000, or by filling out our online form.